Add some colour to your wrist game with these sweet like candy ‘Gem Tear’ bracelets, the ultimate luxury treats. 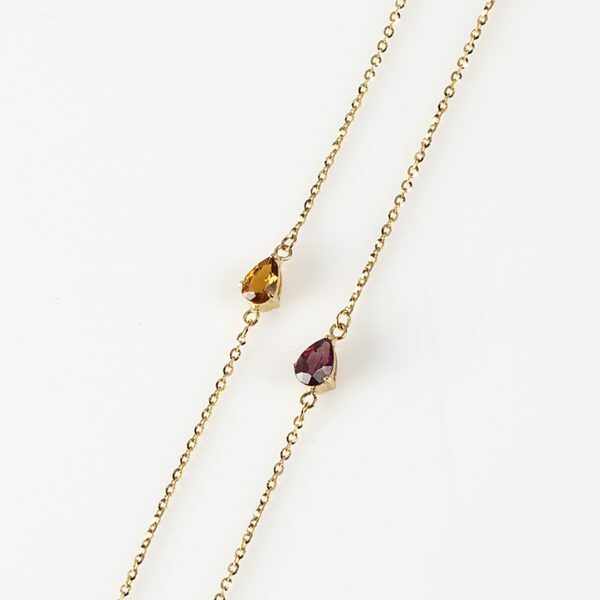 These bracelets feature a tear shape gemstone and are made with 18Karat Yellow Gold. Stack them with other bracelets of the collection for a colourful statement.